The huge number of post-war buildings on the National Heritage List for England are wonderfully diverse. 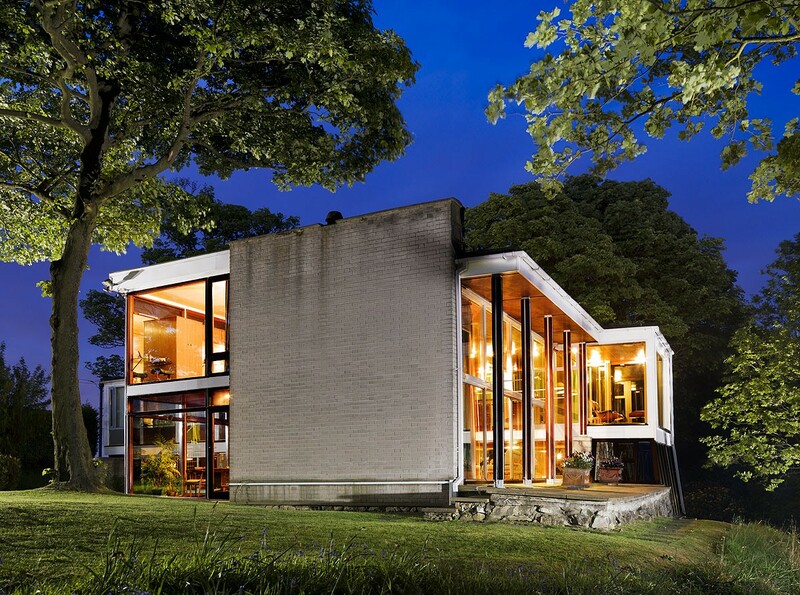 Leading expert Elain Harwood explores 10 buildings which she believes best represent the era. Elain Harwood is a historian with Historic England and leading expert on post-war architecture. I love this building because it brings together a wealth of ideas on constructivism and modern industrial design. From the shapes of the tower to the use of patent glazing to create the diamond-shaped rooflights, and combines them with raw red brick and tile to reflect the setting in Leicester with its Victorian architecture and engineering traditions. It created a synthesis of traditional and modern elements that is wholly British and the quintessence of the new Brutalist style. Erskine was an English architect who went to work in Stockholm and stayed there when the Second World War broke out. This is his major British work and perhaps his finest anywhere, for its scale and wealth of details, using Scandinavian timber in brilliant colours. 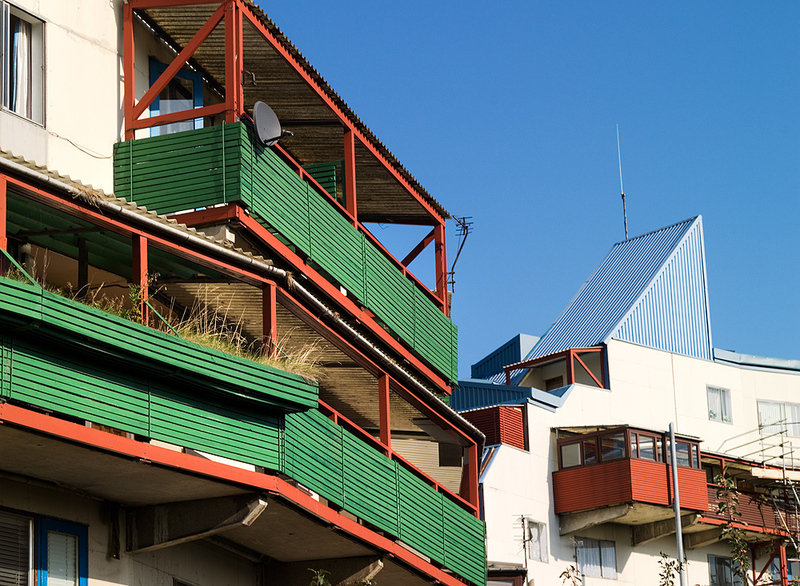 The best-known feature is the Byker Wall, devised to protect the development from a major road and from north winds, but the same care is invested in the low-rise housing and landscaping. It was also one of the first major schemes in which local residents were consulted over the design, and public buildings and local features were retained in the design. This was one of the first post-war buildings to be listed Grade I. 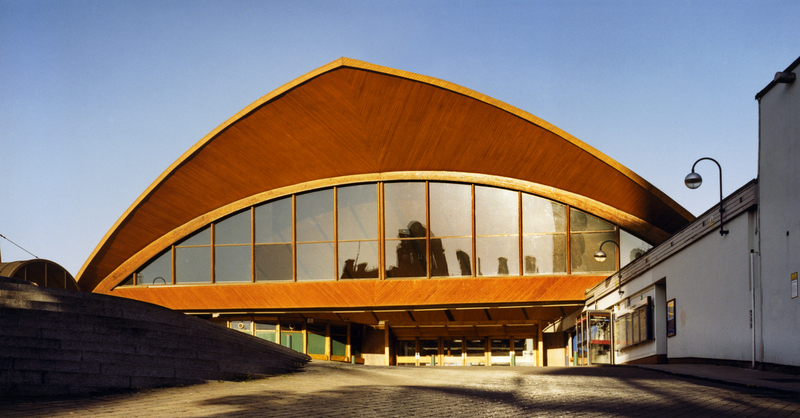 It was the centrepiece of the Festival of Britain and was the only building designed to be permanent. The exterior was remodelled in 1964, but the interior is still largely that of 1951 with all its richness of detailing and materials. 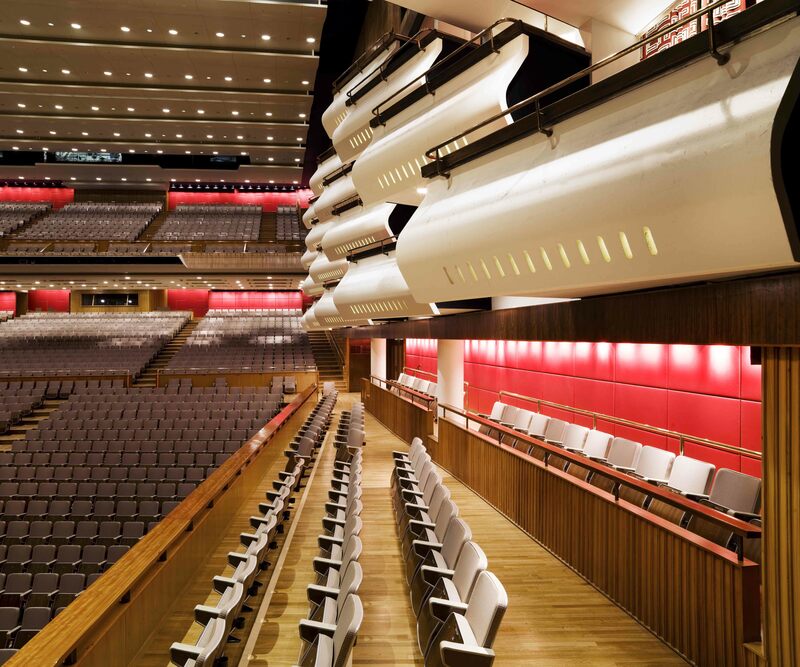 I love the curve of the balcony fronts in the auditorium and the sweep of the staircases – all with a groove in the handrail for your thumb. It is probably the finest building of its date in the world. Farnley Hey exemplifies the ‘contemporary’ style of the 1950s, a house made of timber and infilled with stone, brick and glass, with splashes of brilliant colour. It has a fantastic unaltered interior that maximised space at a time when restrictions on private houses were still in force, with one huge living space divided by different levels, changes in floor materials and a planting box. 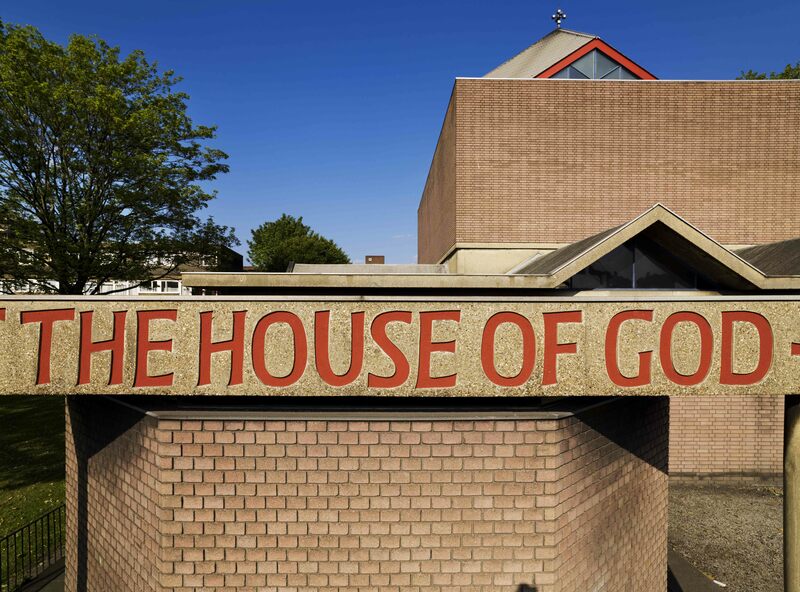 This is the defining church of the Liturgical Movement in Britain. It was the first Anglican church built to a centralised plan, its altar set under a central lantern with a cubic space for the congregation round it and lower aisles, a chapel and baptistery set around that, in a series of geometrical masses. The interior is simple but very beautiful with its controlled top lighting. 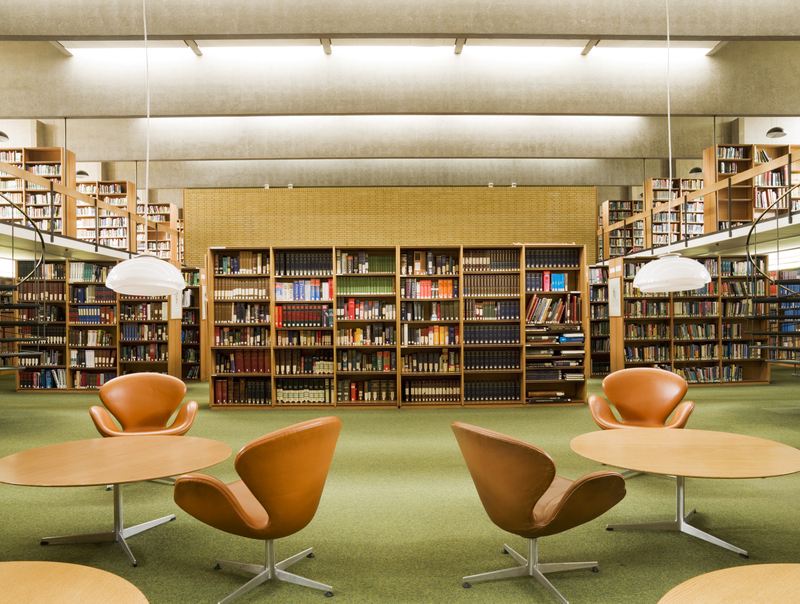 Alan Bullock of Oxford University commissioned the Danish architect Arne Jacobsen to make a modernist statement for this completely new college, defying the British architectural profession to do so. 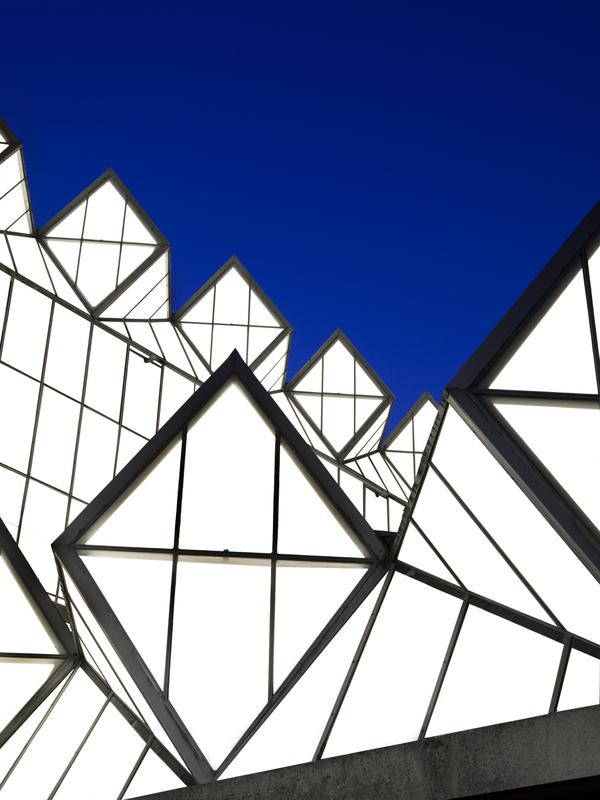 Jacobsen designed the buildings, landscape, furniture and even the cutlery, and it is one of the great set pieces of modern architecture in any country. There are great bold spaces such as the central quadrangle and the dining hall, but also intimate rooms such as the senior common room and adjoining dining room for which Jacobsen designed the special Oxford chair. We forget that a great deal of modern architecture is made of timber (see Farnley Hey above) and Britain led the way in shell timber design. Oxford Road Station is balanced on an old viaduct so the construction of the new station had to be lightweight. Every element of the design is of timber, from the great arched roof formed of three layers of timber planking glued together, to the smaller arches over the platforms, the offices, café and seating inside. Listing saved this building from demolition and it has been carefully restored. I can’t imagine living in a conventional family house but this tiny, two- up, two-down retreat would be perfect. It was built by Alison and Peter Smithson as a weekend house, and I wonder how they and their three children squeezed in. They took a tumbledown gardeners’ cottage, demolished half of it and then extended it westwards towards a fantastic view of William Beckford’s mysterious Fonthill Abbey, in timber (again!) and zinc. Alison devised the cobbled forecourt inside the old walled garden that would make a wonderful place to write in the summer. 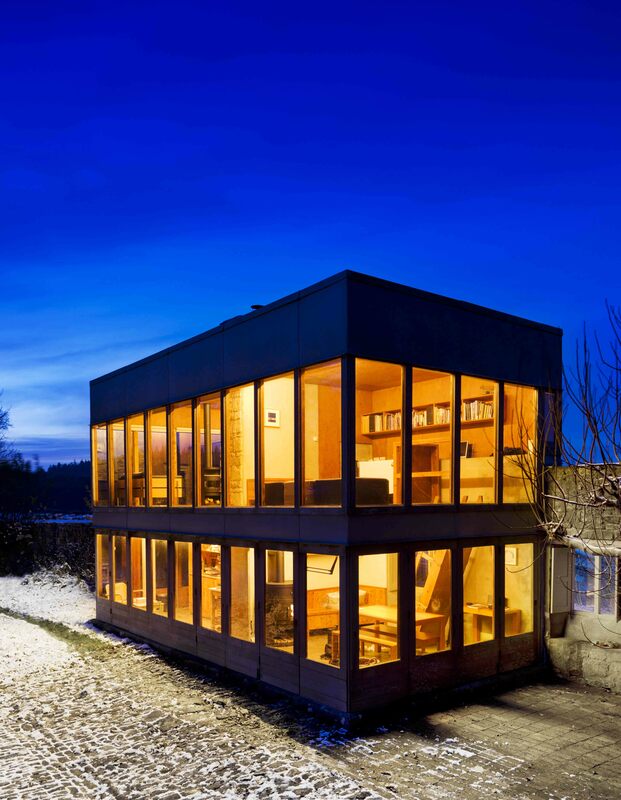 Listing is beginning to recognise the work of Britain’s world-famous High Tech architects, with several buildings by Richard Rogers, Norman Foster, Nicholas Grimshaw and Michael & Patty Hopkins listed in high grades. This was the first to be listed, and I was struck how well it still works as offices – there is a greater difference between offices of the 1960s and those of the 1970s than there is between the latter and those of today. 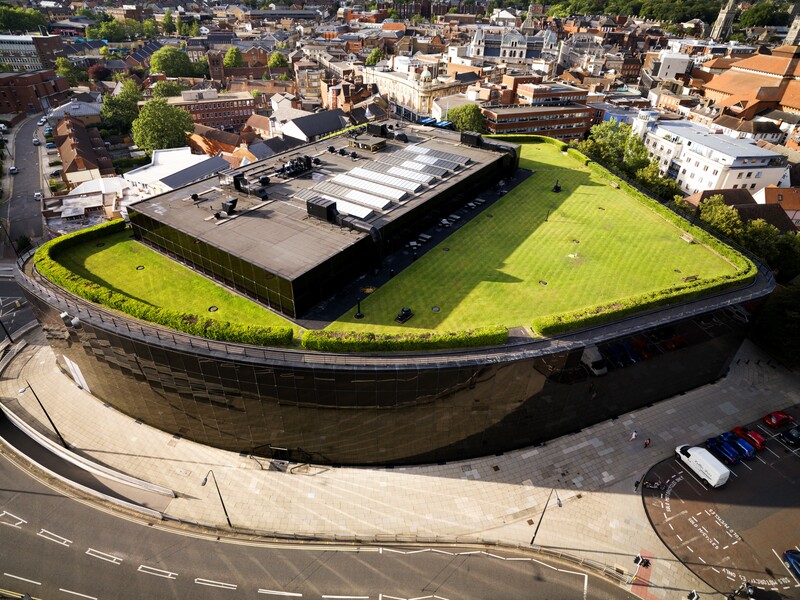 The central space is entirely open, linked by escalators, with a top-floor café and rooftop garden – the hedge on the roof is part of the listing – and there was originally also a swimming pool, which survives below an inserted floor. A building under threat of demolition, but there is a mounting local campaign to save them. These massive headstocks are the tallest in Europe and a reminder of the importance of our once nationalised industries. 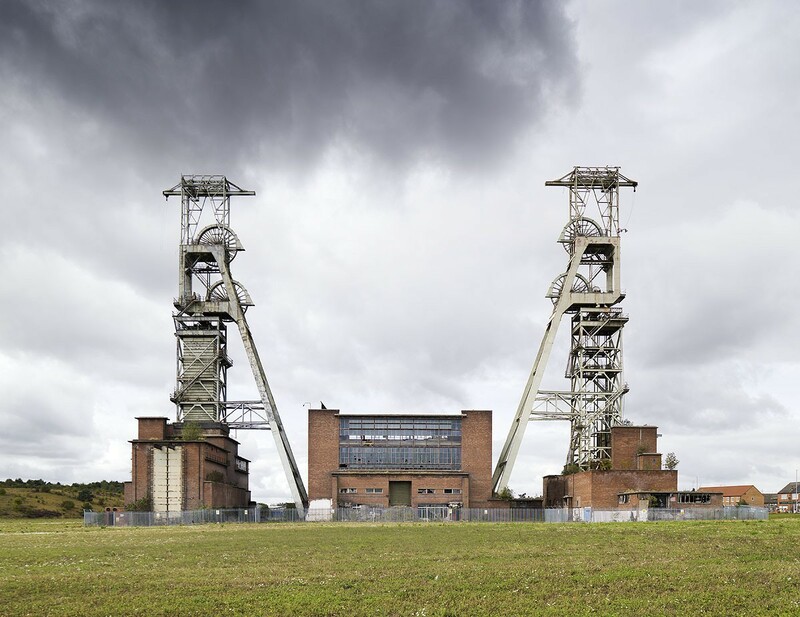 They were built to extract coal from new deep shafts, with winders one above the other supporting a single continuous loop of rope. They make a powerful sculptural impact against the sky in any weather. My grandfather was a miner in another part of Notts, so they are particularly evocative for me. England’s Post-War Listed Buildings is a comprehensive and stylish guide to over 500 of the country’s most striking and historically relevant architectural gems, from private houses to schools, churches, military buildings, monuments and parks. This fully updated and expanded edition contains 200 new entries arranged in an accessible, regional structure, as well as features on telephone boxes, landscapes, memorials and sculptures. Each entry is illustrated with stunning photographs by James O. Davies, Head of Imaging at Historic England, and includes information on architect, date of construction and listing grade date, as well as a detailed description of the site and what makes it unique. Hi Anthony. That is a post war building, but it isn’t listed so doesn’t feature in the book to which this blog refers.